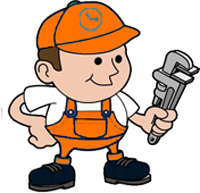 Plumbers provide very essential services to the residents of Melbourne. This is attributed to the fact that the residents require running water and functioning sewage systems amongst other plumbing related systems. One of the aspects of the services provided by plumbers in this area is emergency services. This means that the residents require plumbers who can respond within the shortest time possible. Requiring an emergency plumber Melbourne can happen in different situations and time. Here are some of the situations when one needs to call an emergency plumber in Melbourne. One of the common situations when residents of Melbourne usually call emergency plumbers is when water pipes get damaged. This means that these water pipes starts to leak or breaks completely therefore pouring water in places that are supposed to be dry. The water pipe might be inside or outside the house. This water can cause damages or even flood the house if the pipes are not repaired immediately. As a result the residents are compelled to call the available plumbers to provide emergency services. Another situation when Melbourne residents usually call plumbers to provide emergency services is when sewer systems are not functioning properly. This can be when the sewer systems are not flowing as they are supposed to be flowing, when toilets are blocked or when the toilets overflow. In such situations it becomes impossible to use the toilets and therefore it becomes necessary to call an emergency lumber Melbourne. Furthermore, when sewer systems are not functioning properly there can be foul smalls in the house which makes them un-conducive. This is especially in the relatively small houses which even have only a single toilet. The overflowing toilets also can cause the water and the wastes to get into other parts f the houses consequently causing damages. Accidents also happen when using some plumbing related systems. Some of the common accidents include people’s hands getting stuck in sink pipes while trying to unblock the sinks or when trying to retrieve things which have gotten into the sinks. Such accidents can be painful and therefore one requires calling an emergency plumber. The plumber usually breaks down the systems where one is stuck and also recommends getting medical examinations after being freed. People in Melbourne also drop valuable things in sewer systems such as wallets dropping into toilets. In such a situation residents requires an expert to retrieve such things. The plumber will come and open the toilet to retrieve the dropped thing. If the plumber does not respond within the shortest time possible the dropped thing can get washed away or get damaged. Therefore, residents of Melbourne usually require to call an emergency plumber Melbourne during the outlined situations. We service many including: Plumber Prahran, Plumber South Yarra, Plumber Toorak, Plumber Carlton, Plumber Brunswick, Plumber Brighton, Plumber Camberwell, Plumber St Kilda, Plumber Malvern, Plumber Elwood, Plumber Caulfield, Plumber Cranbourne, Plumber Doncaster, Plumber Frankston, Plumber Williams Town, Plumber Port Melbourne, Plumber Carrum Downs, Plumber Glen Iris, Plumber Hampton, Plumber Mordialloc, Plumber Box Hill, Plumber Middle Park, Plumber Richmond, Plumber Burwood, Plumber South Melbourne, Plumber Hampton, Plumber Albert Park, Plumber Elsternwick, Plumber Ivanhoe, Plumber Templestowe, Plumber Essendon, Plumber Pascoe Vale, Plumber Thornbury, Plumber Coburg and all over Melbourne.